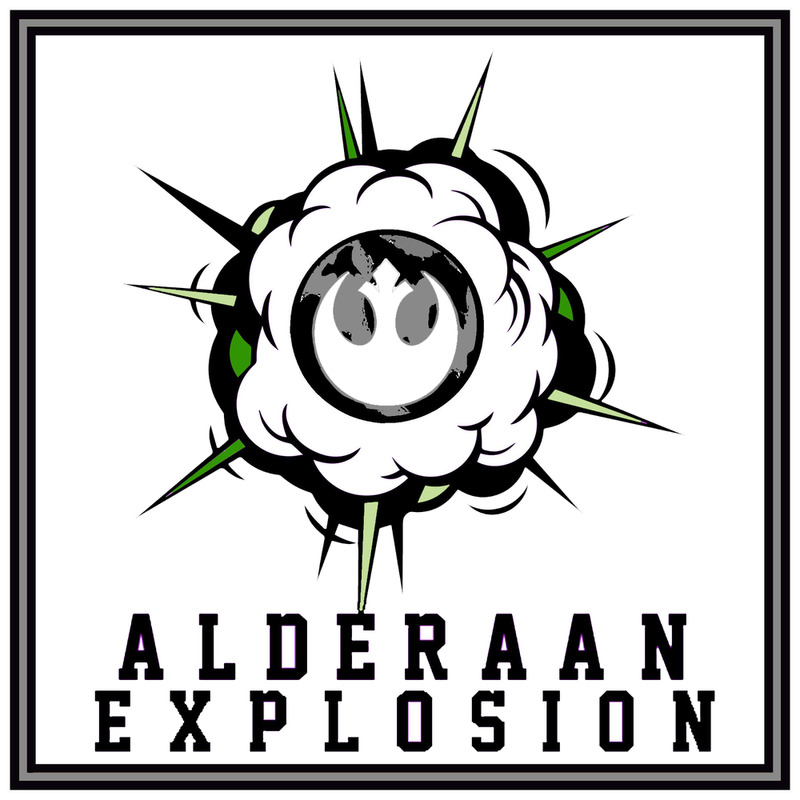 Alderaan Explosion: Building up hype leading into the latest Star Wars film -- a serial podcast from explosionnetwork.com. Join in as we countdown to the latest film in the greatest franchise of all time, Star Wars. We'll be watching Star Wars material, reading books and comics and breaking down theories and trailers before heading into the cinema to see the newest from a galaxy far, far away. Solo: A Star Wars Story has an interesting, troubled and deep past in the Star Wars history books. So before the movie releases Dylan breaks down that tale to Ash and Ciaran and gathers their thoughts. Welcome back to Alderaan Explosion for another season of Star Wars galaxy fun! In the first episode of the season, Dylan runs Nick, Ciaran and Ash through two Solo: A Star Wars Story trailers before getting their impressions and general feelings on the film. After seven weeks of discussing every film leading up to it -- Dylan, Ciaran and Ashley have finally watched The Last Jedi. FULL SPOILERS follow as they discuss episode eight. The clock is about to strike Last Jedi hour and for the final time, Dylan gathers Ciaran and Ashley to countdown to episode eight. It's time to wrap up the original trilogy as Dylan, Ciaran and Ash dive into Return of the Jedi. Dylan and Ciaran, joined by Nick for the first time on Alderaan Explosion, discuss The Empire Strikes Back. In this ultra-packed episode of Alderaan Explosion, Dylan, Ash and Ciaran are joined by Review Culture's Buddy Watson to discuss Rogue One and A New Hope. This week, it's Attack of the Clones time, as Dylan, Ash and Ciaran talk about the second of the prequel films. On the first episode of Alderaan Explosion, Dylan, Ciaran and Ash break down their thoughts, critiques and memories of The Phantom Menace.